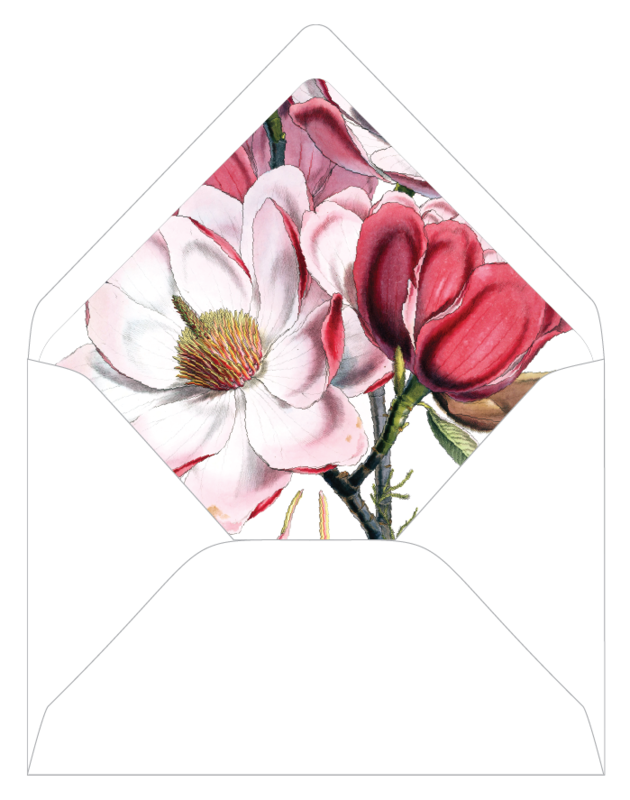 The options are endless when it comes to wedding stationery: inserts, envelopes, printing processes- the list seems unending! That’s where I come in. I’ll guide you through each choice, offering suggestions and expert advice every step of the way. You can choose to be blissfully unaware of all the tiny details and trust me to hand everything. Or you can be a well informed collaborator on each aspect. The extent of your involvement in the design process is completely up to you! Delegate away! That's what I'm here for. Ready to nerd out with some stationery terms? Keep reading! 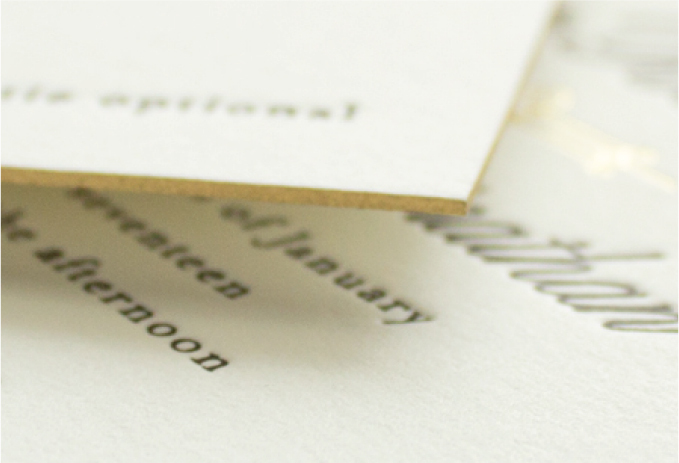 From the time-honored technique of letterpress to modern flat printing, I partner with the finest printers to ensure your stationery is impeccably crafted. Not sure which style to choose? I’m here to offer suggestions that will perfectly suit your style and desired investment. You can (and are encouraged to) mix printing styles within your suite. 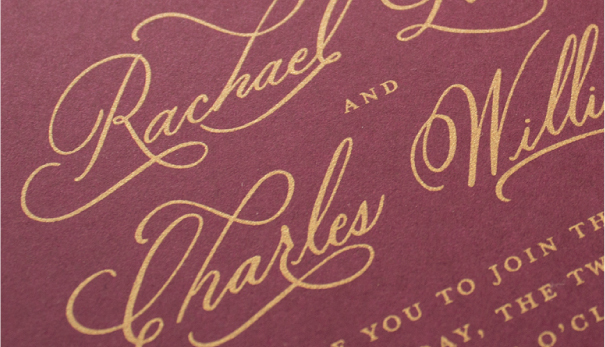 For example, choose foil stamping for the invitation and letterpress printing for the inserts. 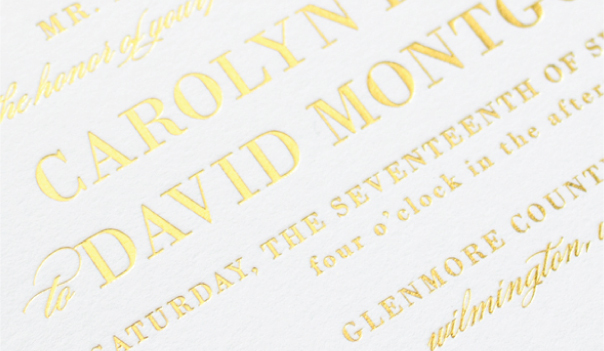 Or combine foil stamping with a watercolor background in flat printing. A heated die is used to press a sheet of thin metallic foil to paper. The resulting design will have a light reflecting, shiny finish – perfect for achieving a brilliant metallic gold or copper. Ink is applied to a custom printing plate, then pressed into paper using an antique printing press, creating an impression in the paper. An uninked plate is used for blind letterpress. Ink is pulled through a fine mesh silk screen stencil onto paper. White and metallic inks are available, and you can print on surfaces besides paper (think wood veneer, acrylic, or textiles). Ink lays flat on the paper, leaving a smooth finish. The resulting stationery can feature an unlimited number of colors. Flat print inks are matte; metallic inks are not available. 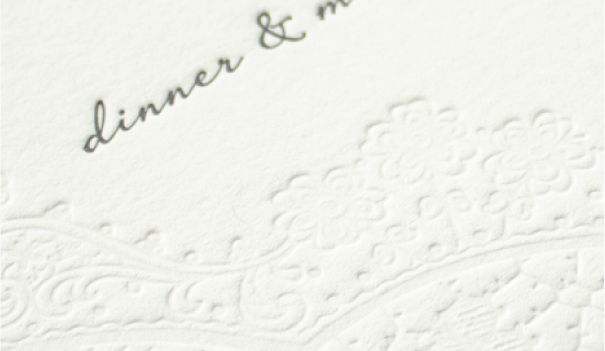 Paper is the foundation of your invitation suite. 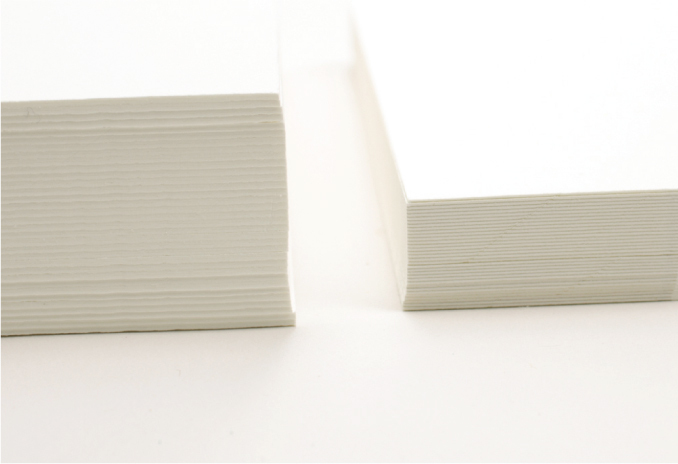 Choose from traditional bright white and off white, or if you are looking for something unique, I’m always happy to seek out the perfect fit for your stationery. Fluorescent White or Pearl White 100% cotton paper is offered for all printing methods. 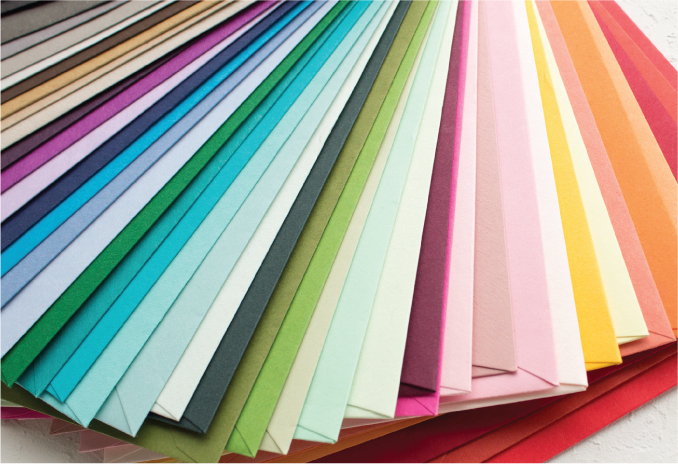 A variety of colored paper stocks are available for screen printing, letterpress, and foil stamping and for envelopes. 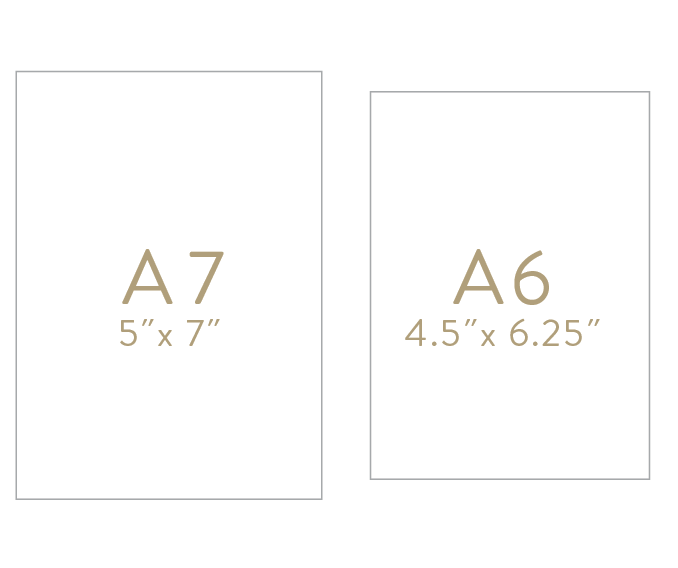 Upgrade to double thick paper for a luxurious look. As thick as two pieces of single ply paper, it’s perfect to show off edge painting. Signature Banter & Charm wedding invitations and save the dates are 5”x7” (also know as “A7” size). Prefer something bigger or unique? Oversized invitations (5.5” x 8.5”, aso referred to as “Royalty” size) and square invitations are also available. 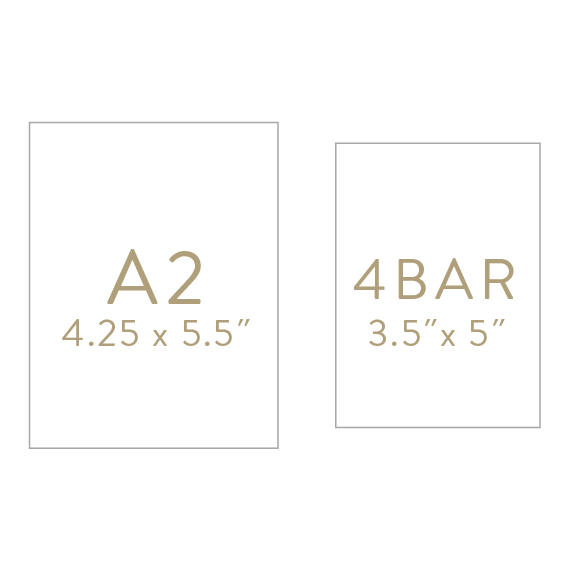 The A7 size is also used for large insert cards, programs, dinner menu cards, and table numbers. Insert cards are available in A6 size, A2 size, 4bar size, and mini size (business card sized). 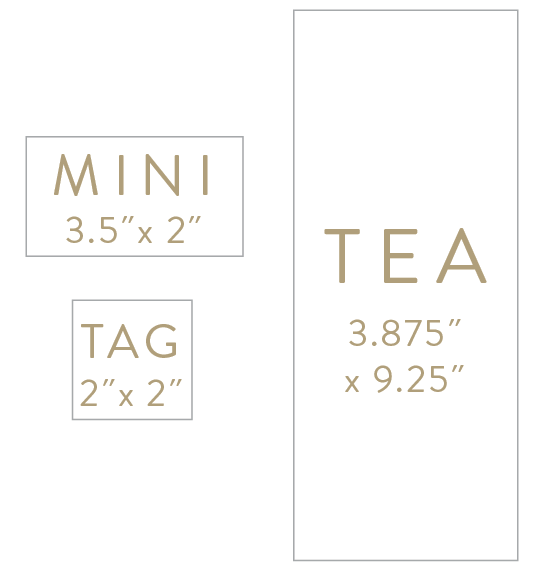 The 2“ square size can be used as a seal or favor tag, and the 9.25”x3.875” size is a favorite for programs and menus. Add a unique finish to your stationery with a die cut shape! A custom die is used to trim the paper into various shapes. There is an additional cost for die cutting. Banter & Charm’s signature options are shown below, but custom shapes are available. 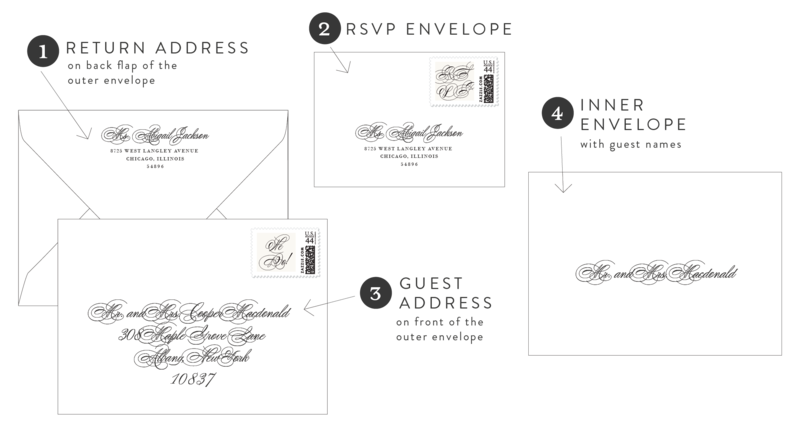 Banter & Charm offers guest addressing in flat printing and hand calligraphy. 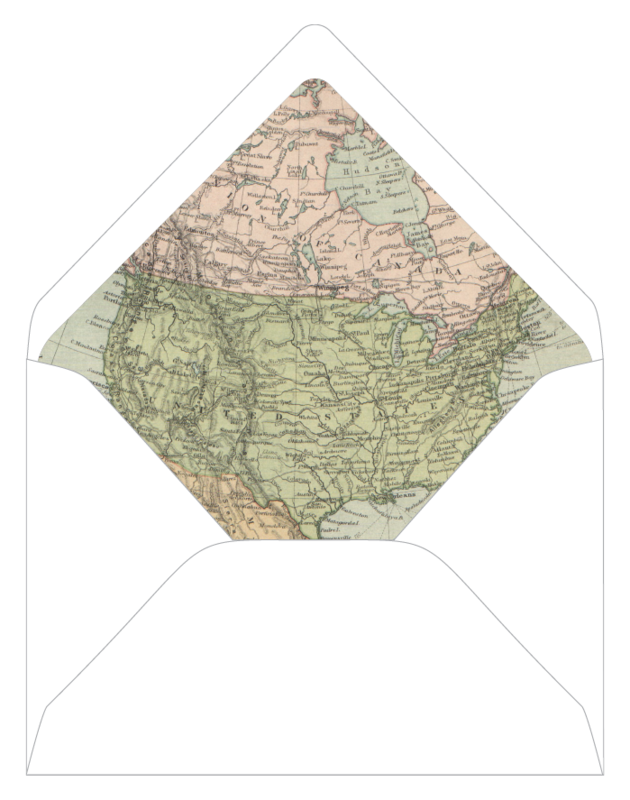 How will you address your envelopes? 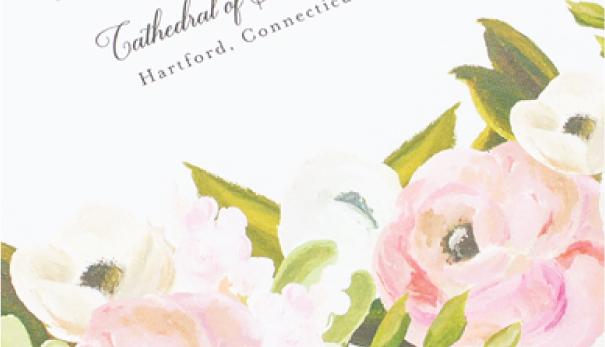 Add a pop of color, a fun pattern, a vintage floral illustration, or even a map of the state where your wedding will be! Liner patterns can also be used for backers and belly bands. Looking for the perfect finishing touch? 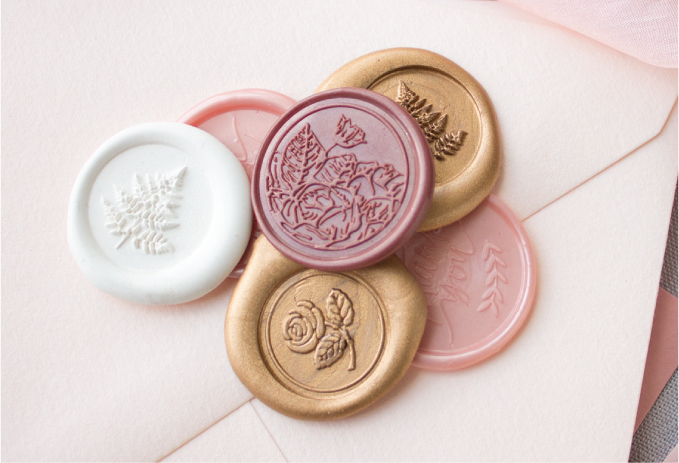 Hold everything together with a lace wrap, silk ribbon or belly band, seal it up with a custom wax seal or monogram tag. 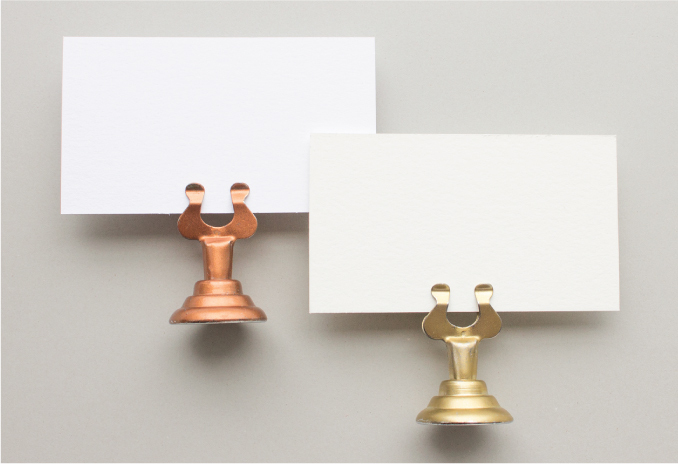 Add edge painting for an extra pop of color, or wrap your stationery up with a vellum folder or pocketfolder. Looking for something you don't see here? Just ask! I love experimenting with new materials and processes! Having a hard time picturing how it will all come together? 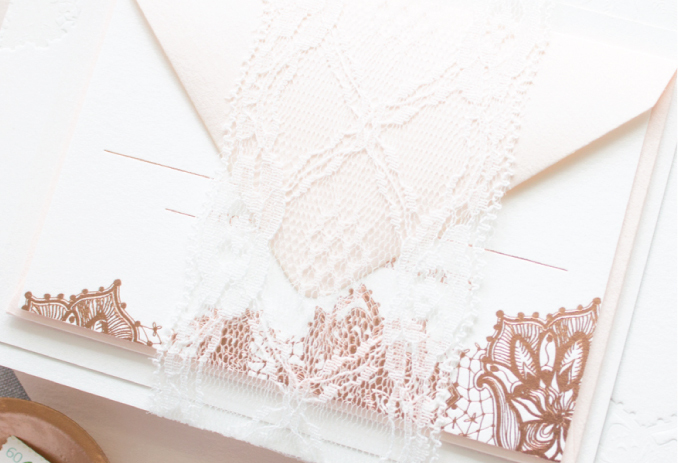 See how previous brides have customized their wedding invitations in the portfolio. Love what you see? Take any look and make it yours in a few simple steps.